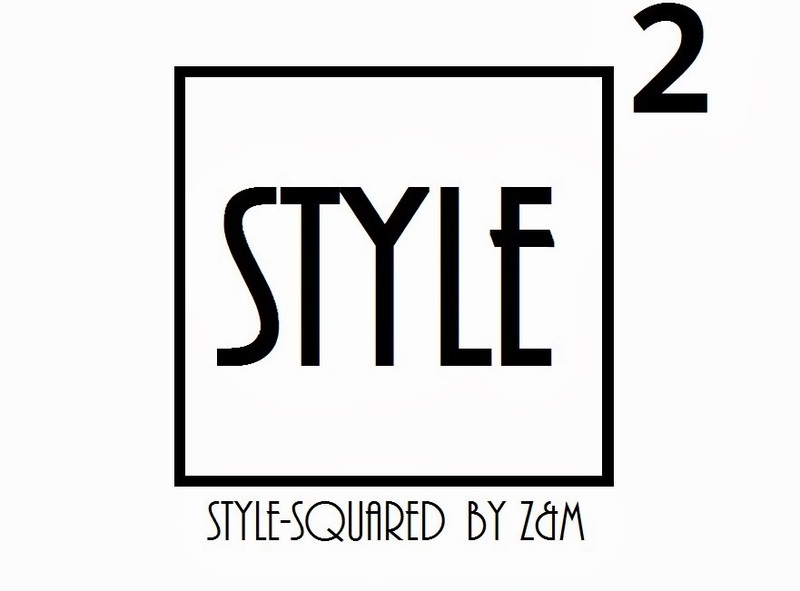 Style-Squared by Z&M: FEATHERS UP! Love this look, great jacket! A. Hope you can visit me again dears! Wow, that style is really amazing. So nice pants. Have a nice day. Fab look, the shoes and bag are gorgeous! Im in love with ur shoes! Beautiful outfit!! I love the color of that sweater, it just pops against the black! DIY HAT?? OMG!! Fantastic!! This look is so cute!! Nice outfit:)Your hut is amazing:) i love it! I SO love this unique look. The hat and the shoes really make it your own. GORGEOUS. Great hat and I adore the shoes. lovely post as usual. I love your leather trousers ! GORGEOUS...love the mustard colour for fall! Thanks for your lovely comment dear. Gorgeous combination of textures, it all works so well and adore the hat! you are absolutely stunning, I love your unique style! you matched the black and mustard yellow pieces so perfectly together. Oh wow...so so glamorous. I love the hat! I'm in love with this look. You look so regal. That mustard turtleneck is to die for! love this look! your fascinator is sooo cute! Kako ti stoje ove ekstravagantne kombinacije,wow! Love the mustard yellow! The feather on the hat is fabulous! OMG love this outfit! Your heels killer! HOT HOT HOT :) Great style babe I love it!!! Love this outfit, I'm in LOVE with that hat especially! Your look is fantastic. I love. You have such an eye when it comes to fashion and style. I adore this look girl, so theatrical!!! Wow! Love your DIY hat!!!! Great result and gorgeous look! Nice unique style! the hat is lovely. lovely photos I like your hat! Prekul i ova kombinacija i cijeli blog :)! Very chic and bright look! You look amazing! what such a beautiful outfit and beautiful photos! love your hat! What an amazing outfit! Absolutely adorable! I think you look a bit like Lana del Rey, more people who agree with me? Your leather pants are just....AMAZING! Beautiful fashion sense as usual. Keep up the good work. Prelijepo, zaljubila sam se u cijelu kombinaciju! Amazing outfit and you are so beautiful! Love those shoes especially. Oh you look so beautiful and classy! I can't believe the hat is DIY, its gorgeous!! Did you change color of your hair? so fierce, I'm loving it!! OMG in love with everything! Great outfit! Love it all! Amazing look!!! Love your shoes!!! I love feathers, you are so cool! Cool look! Retro yet modern. Omg, everything looks amazing here!! Wooo i am speechless with this post. Head to toe FASHIONISTA!!!!! Hey girl! LOVE this color on you! Fab. Woah so daring. I love that pony hair clutch. love the shoes...you look stunning.. Such a beautiful hat, and a really gorgeous outfit! Very chic! Fantastic outfit! I love the yellow on black! Wow! You look fabulous!! I love the hat, it really ties the entire outfit together. wow you look spectacular ! i love every part of this outfit ! Oh, I want that Aldo clutch! You're kooking fabulous. Yes, FABULOUS is the perfect word for this look! YOu look gorgeous! Thanks for sharing such a nice post! Also a very large 'thank you' for taking the time to leave a comment for me! I do appreciate that! stunning! hat is just perfect! felt in love with ur shoes! i follow u on gfc hope u want to follow back! thanks and happy xmas. E 'for a competition that I care so much. Love this - so lovely!! Wow, you look so posh! I love your blog, it's very in vogue. Is it okay if we followed each other? I'd love to stay in touch. That mustard-y yellow is gorge on you! Also...adore the feather cap! I love the effortlessly chic outfit, you look amazing! Fantastica! Originale... grazie per il commento sul mio blog! Così ho potuto scoprire il tuo!!!!! You look so fab :) Doesn't matter what you wear!